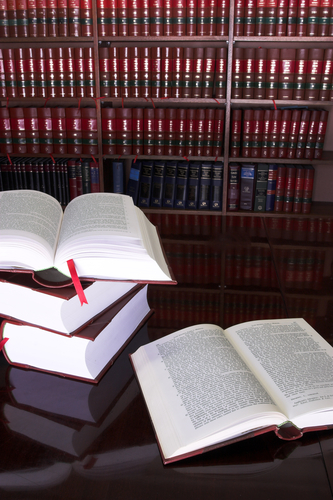 Complex torts differ from ordinary civil suits in many ways. Among these differences, complex tort cases are more likely to involve numerous pretrial motions, difficult or new legal issues, multiple witnesses, large amounts of supporting evidence, and numerous separately represented parties. When combined, these factors tend to create the need for an extraordinary amount of judicial management. This is done in order to avoid placing undue burdens on the parties, to keep costs reasonable, to promote effective decision-making, and to achieve results in a timely manner. Arthur F. Licata is a Boston, Massachusetts-based, litigator concentrating in personal injury law. Arthur focuses his practice on plaintiffs' complex tort litigation, in the state and federal courts of Massachusetts and New York. Arthur began his career more than 30 years ago as an associate at the large Boston firm of Parker, Coulter, Daley & White. Since that time, his practice in complex tort litigation has led to significant reported cases with nationwide implications and to numerous professional recognitions. His approach to complex tort cases reflects this fact. No aspect of preparing a case is left solely to chance. Arthur has a network of professionals and experts with whom he consults. In an effort to achieve the best possible results for his clients, he immerses himself in the facts of each case, develops strategies and themes, and uses focus groups in order to determine the most effective way of presenting the case at trial. The majority of the firm's complex tort cases are referred to them by general practitioners, lawyers from other states, and attorneys from foreign countries. The firm welcomes all inquiries into its practice and provides free consultations in all personal injury matters. The Boston, Massachusetts Personal Injury Law firm of Arthur F. Licata, P.C. handles Complex Tort Litigation for clients throughout Massachusetts including Suffolk County, Norfolk County, Plymouth County, Middlesex County, Worcester County, and Essex County, and cities such as Worcester, Springfield, Lowell, Cambridge, Brockton, New Bedford, Fall River, Lynn, and Quincy. Mr. Licata is also admitted to practice in the state of New York. He routinely takes cases by referral from other attorneys located throughout the New England region and the United States.